Hello, I’m Mischke, a 27 year old Food and Nutrition student going into my second year at UCB. My course is honestly one of my favourite things and what I love most about studying at UCB is just how varied my course is. One day we’ll have a guest speaker demonstrating recipes, the nest we’ll be at a dairy farm and the next we’ll be making pancakes to test sugar alternatives… and that’s just in one module! The lectures are passionate and always expose us to new opportunities, which is perfect in helping to identify what is best for me once I finish my degree and head out into the big bad world. Aside from my studies I love cooking, dining, volunteering (Food Cycle) and attending the odd gym class to balance out all the eating. I’ve been described as a bit of an ‘everything person’ as I tend to throw myself at (and enjoy) new and random situations, which had led to making new friends, finding great opportunities and learning a lot. Heyyy everyone, my name is Maria Santos and I’m studying International Tourism Management at UCB! I travelled from Lisbon to Birmingham a year ago to start an adventure studying what I love in a new country, in a totally different language. I completely loooove to travel; and it doesn’t have to be far away. The simple fact of getting on a train to a nearby city that I never visited before just makes me happy. And, if by chance that city has a good gastronomy, you can be sure I am definitely going to try it out, as food (not exactly cooking it, just eating and try new things) is another one of my passions. Running is my strategy to relieve stress, especially when deadlines are close, and I love to be active and practice sports; but at the same time, I am really lazy and sometimes I just like to lie down on my sofa watching some British crime drama. I would say that I’m a pretty positive person about life and I have big dreams; my little secret is that I want to be a flight attendant in the future, but although I completely love to fly, I get really scared of being up there as well. My time at UCB so far has been more than amazing. I completely love my course (I actually enjoy doing my assignments. I didn’t even know that was possible!). But honestly, what I love the most about studying here are the people – from my classmates to my lecturers. They are all so friendly and always there for you if you ever need any help. I have met some truly fantastic people that I want to keep in my life, and I’m sure the year ahead will be even better than the one before. I’m Jessica Watt, I am a 19 year old student studying BA (Hons) Events Management. I am from a village called Portchester, which is in Portsmouth and is right on the coast. With the sea only four doors down and a beautiful castle just a minute’s walk away, you could say I am somewhat of an outdoor girl. My favourite thing to do is hanging out with friends, which includes going to the beach, watching movies and of course shopping; I am a bit of shopaholic! My all-time favourite movie is Bride Wars and has been for a few years now. I was after falling in love with this movie that I also fell for the idea of weddings and the planning that goes into them. After becoming a Saturday girl for a wedding company when I was 16, I knew this was what I wanted to do. Then I discovered UCB and the Events Management course. Since moving to the city and starting my studies at UCB I have never looked back. I have loved every second of uni life and can’t wait to see where the next few years take me. Hellooo again UCB, I’m Becky and I’m one of the UCBloggers! Just to state a few things about myself to begin with…. I am 18 years old and, starting in September, I will be living in the UCB Maltings accommodation (so come say hi, I’m friendly!). You will always find me in the centre of Birmingham as there is so much to do, see and get involved in. I have actually been at UCB for the past two years completing both my NVQ Level 2 and 3 in professional cookery and am now moving onto the degree. I was the FE college blogger last year, so this year, I get to be one of the HE bloggers, which is exciting as I get to carry on this amazing job! I am studying the FDA Professional Cookery degree this year and I am so excited to build upon the skills I’ve learnt in my first two years, as well as taking part in a more academic course. If you don’t find me in the kitchen, you’ll probably find me shopping, in a restaurant, travelling, clubbing, watching a movie or on the netball court. This year, I’m super exited to be going on to university, as well as carrying on blogging as I’ve now written more than 40 posts! Hopefully over the next year, I’ll have lots more to write about. I am fully ready to dive into university life and have the best student experience, however messy it might get. I want to have lots of fun and make a lot of university memories (it’s supposed to be the best years of my life right?). Overall, I’m just a generally enthusiastic, loud and troublesome teenager who will be sharing some, hopefully (fingers crossed), useful tips and insights into life as a teenager and student at UCB in the city of Birmingham. I am very excited about another year of blogging to come! Hi! My name is Jade and I am a Business Enterprise student at UCB. And yes, I am one of those rare human beings that absolutely love being at university. I truly believe that my choice of university has allowed me to have such a good uni experience. Of course there are tough times with deadlines etc., but for the most part I am thoroughly enjoying my experience. This blog will give you an insight into my life during university, and hopefully give you some advice to make your university experience the best it possibly can be. Hi everyone, my name is Ellie Smith and I am a final year student at UCB studying BSc (Hons) Bakery and Patisserie Technology. I am from a little village in Hertfordshire called Redbourn, and live in Birmingham during term time. I was first introduced to baking when my mum would let me help her in the kitchen when I was very young and have grown up baking at home. I took Food Technology at both GCSE and A-level and when it came time to decide what I wanted to do with my life, I decided to pursue what I loved – which is how I ended up at UCB. I could have taken a more academic route (English Literature was my other favourite subject), as I did enjoy school and was a bright student but chose to be cheesy and follow my heart. I chose UCB because I loved the variety the course provided. We have practical lectures in both the bakery and science labs and get to do other theory modules like nutrition, business, food science and technology. UCB also has great links with the industry and lecturers with many years of experience. Outside of uni I am an avid reader; Harry Potter is my favourite series of all time. I also enjoy going to the theatre, particularly musical theatre as well as spending as much time as possible with my family and friends. I have recently finished my third year of university at UCB, gaining a first class honours in Digital Marketing which is probably my greatest achievement to date. I was previously awarded with a foundation degree in Business Management at another university. I enjoyed my year at UCB so much that i’ve decided to stay a little longer. I was presented with the opportunity to intern whilst completing a masters degree in Enterprise Management at the University so naturally I decided to stay and i’m sat here blogging about my experiences. I hope you find the blog interesting and valuable at the same time. 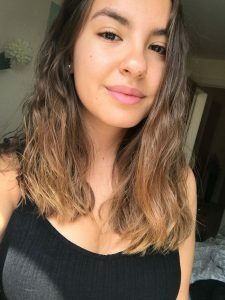 I’m a 21-year-old student from a beautiful sea side town in Estonia, studying Marketing with Events Management at University College Birmingham (and loving it)! I am here to share my thoughts, experiences and much more of being an international student at UCB. I am very excited to be a UCBlogger and hopefully you will enjoy my posts as much as I enjoy writing them! Studying in England has always been a dream of mine and I cannot tell you how happy I am that it’s now a reality. I went to a grammar school where I studied 6 different languages:Estonian, Spanish, French, German, Latin and English. That is where my love of different cultures and languages started – English being my favourite. I decided to travel and visit countries like Ireland, Turkey, France, Germany, Hungary, Poland, Slovakia, Slovenia, Austria, Lithuania, Latvia, Finland and Sweden. My goal is to travel the world! 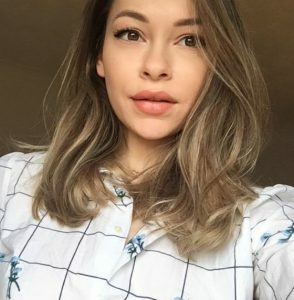 I’m Debby, a 25 year old student at University College Birmingham, studying the subject I love most in the world – International Tourism Business Management. I’m excited to be part of the UCBloggers team, where each week I will be sharing my thoughts, tips and advice about all things UCB, my tourism degree and of course lots of travel fuelled posts to ignite your own wanderlust! Not forgetting enjoying student life here in Birmingham. My favourite thing to do in the world is to travel. There is nothing I love more than exploring new places, seeing the sights and meeting people from lots of different cultures. I have a huge passion for animals and marine life – my favourites are orca whales, great white sharks, donkeys and elephants! Aside from travelling I love active sports such as cycling, indoor rock climbing and when I can, surfing. I’m never far from a cup of tea or my camera but probably not at the same time, since I’m quite clumsy. I’m Emilia, I am 20 years old and I study Specialist Hair & Media Makeup BA Hons at University College Birmingham. However, I am originally from a small town in Yorkshire called, Huddersfield. Yorkshire is my favourite place in the world and it broke my heart to move away on the other hand, every cloud has a silver lining and moving away made me appreciate my home more. Birmingham is a really cool place to live, completely different to what I am used to but its has enabled me to explore and create a little home away from home. I am a creative person and I love art and makeup that passion is what pushed me out of my comforts and into student life in Birmingham. In my spare time I like to keep up with YouTube videos, specifically makeup and fashion videos, and watching Netflix. I also love Beyoncé so I listen to her music most days usually when I go to the gym or when I’m cleaning, I am a neat freak! And if I’m not doing any of those things you can usually find me drinking a cup of Yorkshire tea and eating a bag of cookies, any brand will do!